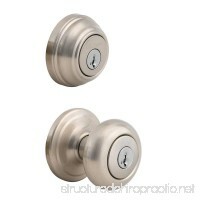 Add a fresh look and added security with this standard keyed entry door knob and single cylinder deadbolt. 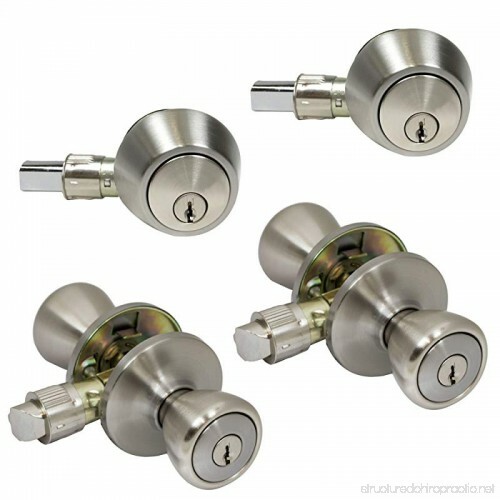 This door knob set is specifically made for mobile Home doors and features foam lining weather-seal protection on all entry and deadbolts. 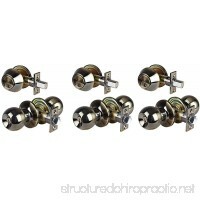 The crisp, clean appearance of the stainless finish adds to the overall look of the product and brings a modern feel. 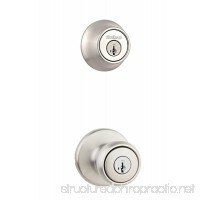 This entry function is great for front or back/side doors. 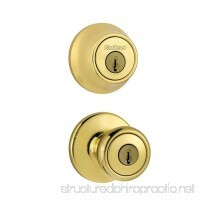 Single cylinder deadbolt can be locked or unlocked by a key on the outside, or bolt latch on the inside. 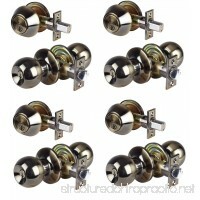 Each knob comes with two keys per order and is keyed alike. The combo is ANSI Grade 3 and the lock is made to fit doors between 1-3/8" to 1-3/4" thick. 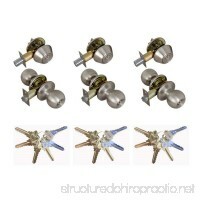 The entry and deadbolt combo backset is adjustable between 2-3/8-Inch and 2-3/4-Inch. 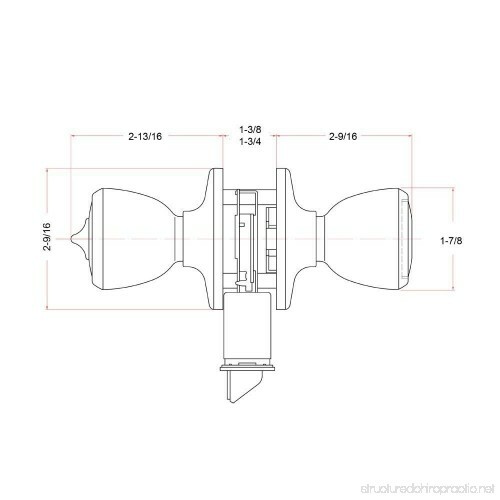 Combined with a 25 year limited warranty this classic entry knob will make a wonderfully secure addition to any mobile home or trailer.